Ai Ai Ai. Oh, Elton. Sometimes it feels like the entire world has slipped down Alice’s rabbit hole. How is it that the Chinese authorities have no problem admitting an openly gay man into China to perform, but have their collective nose put seriously out of joint when he dedicates his concert in Beijing to artist Ai Weiwei? The Global Times blasted Elton John for “forcibly” adding “political content to the concert, which should have been nothing more than an entertaining performance”. Western performers should take heed. And this isn’t the first time those troublesome artist-types have crossed the line. Not since she graced the red carpet at the Oscars looking as if she’d slipped and fallen into a passing swan has Bjork made such a splash as when she saw fit to cry “Tibet! Tibet!” at the end of her song, Declare Independence during a performance in Shanghai. Oh. 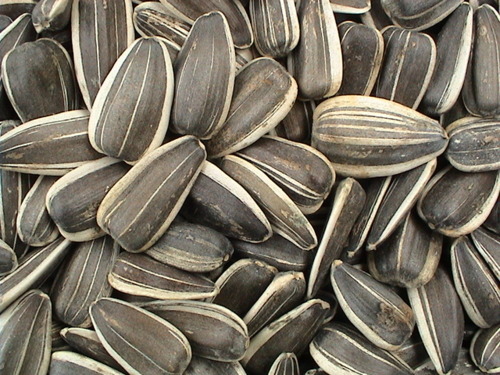 Why sunflower seeds? See Ai Weiwei’s extraordinary installation at Tate Modern last year. **Disclaimer: This post should not be taken as a vote of confidence in Elton John’s body of work. His music gives me a rash. Speaking of ‘forcibly’, that’s what would be required to get me to endure one of Rocketman’s performances. Ah, Nikita? I think not.